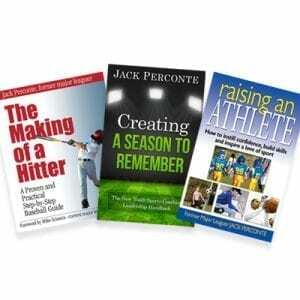 Get the expert knowledge you need for raising an athlete with one or all three of Jack Perconte’s books. 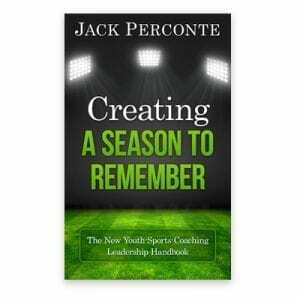 Each book provides valuable instruction and insight into raising and coaching young athletes. the “Idiots” because they don’t have the proper, or any, training to coach the kids in ways that inspire and improve their skills. Let’s face it, coaching youth sports is not the easy experience of the past. But, imagine a youth sports world where kids learn: to play hard, leadership skills, sportsmanship, and acceptance of the challenges sports present. Having a coach that can provide those is crucial, but unfortunately, those coaches are few and far between. Most coaches are unprepared for the new-type athlete and parent. The result is frustrations for all – the coaches, parents, and kids. Using his experiences of playing at the highest level, heartfelt personal coaching stories, and analysis of the coaching greats’ methods, Jack creates a step-by-step plan to influence kids and their parents. The time has come for all coaches to know how to bring out the best in player abilities and desire levels when kids improve and reach their potential. Proper training of sports coaches will bring the fun back into the games, along with helping youth succeed on and off the playing fields. Don’t look back and have regrets that you were part of the problem or not part of the solution for why your son or daughter no longer wanted to play youth sports. Tired of seeing your child not working hard or having fun on the sports field? Well, maybe you are the problem, or the coach is the problem, or your child is one that takes things too hard. Whatever the case, it’s not easy being a sports parent in today’s high-pressure youth sports world. It is worse if you do not have the right perspective and guidelines to help your child along the way. 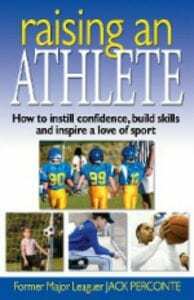 Through real-life examples and time-tested advice, this guide provides parents and coaches insights into how to deal with the challenges and pitfalls that arise as children progress in sports. From handling the inevitable tears and frustrations and honing the appropriate message for varying age ranges and skill levels to recognizing the real performance enhancers and how to keep burnout at bay, this handbook emphasizes integrity, hard work, and practice as well as the importance of teamwork, sportsmanship, and leadership in players. Advice on using humor to relieve stress, overcoming adversity, and how to handle troublesome coaches is also included. 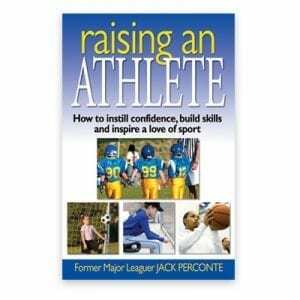 Raising an Athlete is written by a man who has been there as an athlete (major leagues), youth sports coach (29 years) and parent (3 athletes). He knows what you are going through and how to turn things around when the pressure on your child, or you, seems to be too much. 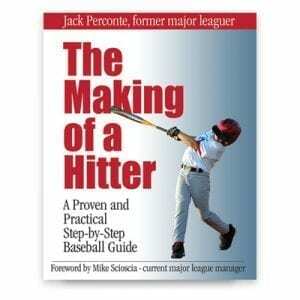 Offering tips for every level of player, from little league to the major leagues, this guide not only shows players how to hit but also shows parents and coaches how to teach hitting. Presenting techniques drawn from the author’s years of experience as a coach and a Major League baseball player, the manual provides an in-depth description of the drills, habits, and lessons critical to a successful future. In addition to providing highly detailed instruction on the fundamentals, the guide reveals how to develop a good mental approach and confidence in every hitter. There is a saying, “if it was easy, everyone would do it?” Well, that does not just talk about hitting a baseball, but the teaching of it. One would hope that hitting a baseball, and the teaching of it was easy, but it’s not. However, you can learn the hitting drills and process to deliver that elusive success. Every year of bad habits makes it harder to correct the baseball fundamentals. 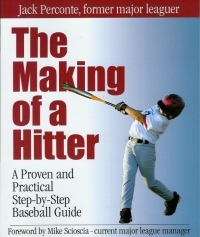 This step by step hitting guide will show you, the sports’ parent or baseball coach, how to teach the mechanics of hitting and the mental game of hitting in a way that your child does not end up mad at you after every baseball practice. If you want to help your son or daughter to learn the fundamentals of hitting which will allow them to have a high batting average, grow confidence and develop power along the way, then you are in the right place.